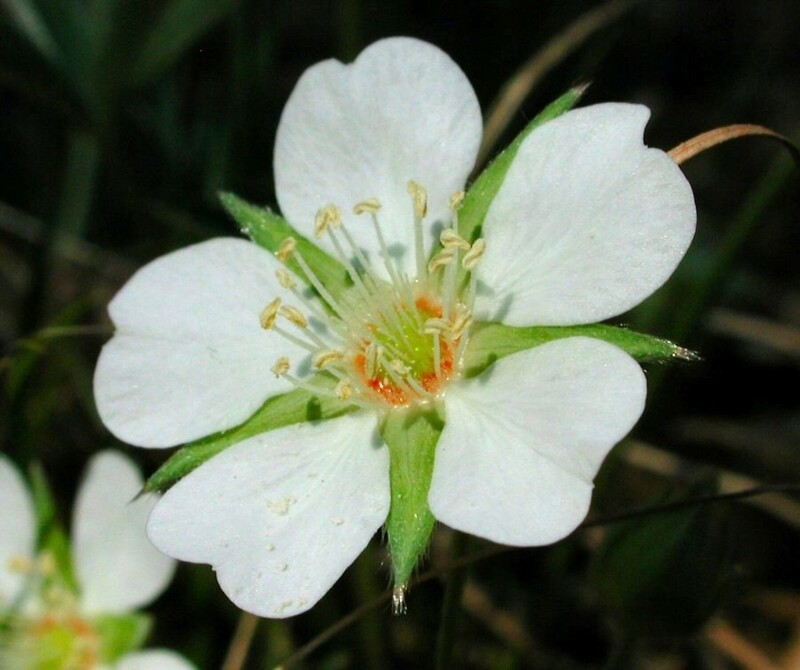 White cinquefoil is introduced in North America; the only place it has naturalized is in Massachusetts gardens and waste areas. 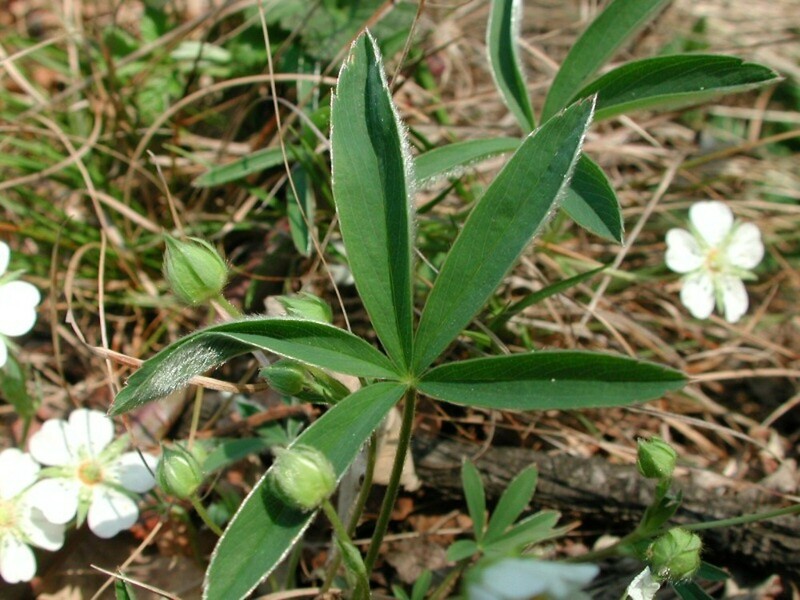 It gets its scientific name and common name from the petals, which are white. 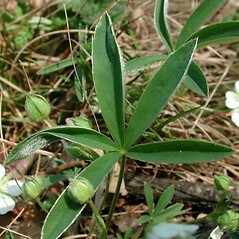 The lower leaves have 5 to 9 leaflets, each of which have smooth margins with only a few teeth near the tip. 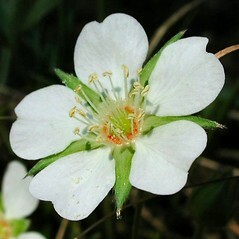 white cinquefoil. CT, MA. Gardens, waste areas.